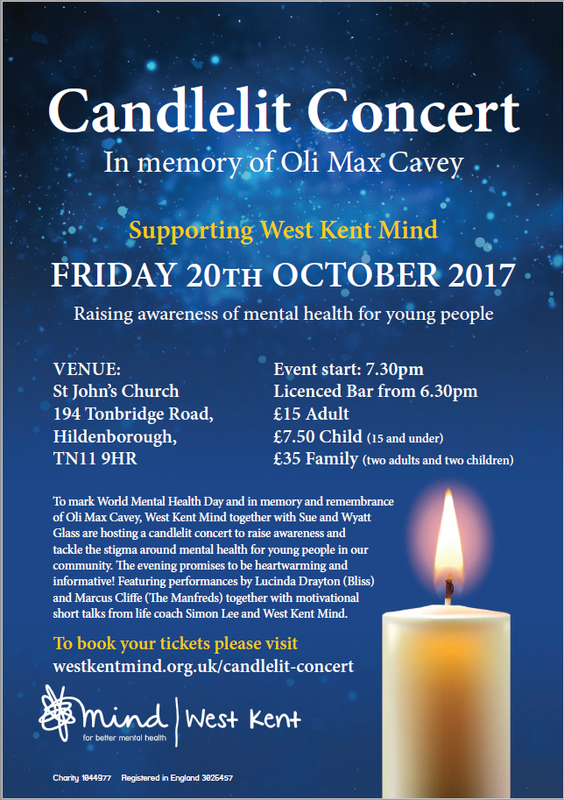 On Friday October the 20th, I have the great honour of speaking at the Candlelit concert in Hildenborough Kent on behalf of Sue and Wyatt Glass and West Kent Mind. The concert is in memory of Oli Max Cavey, the son of Sue Glass. The evening is certain to be a very meaningful and uplifting event. Anyone interested in attending this special occasion please view the details below and the link to the Mind website for more details.